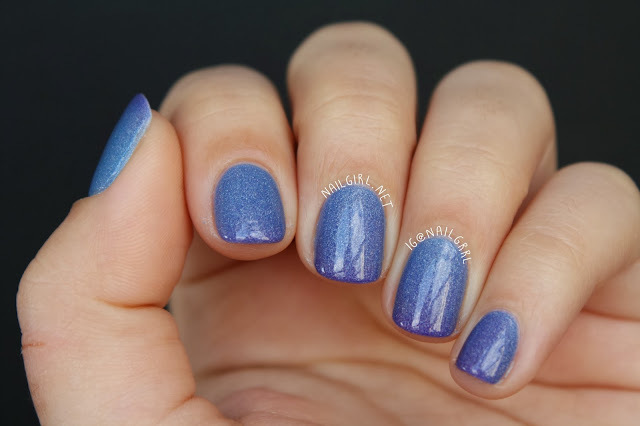 I've got my first thermal polish to show you today - Liquid Sky Lacquer Iris Illusion. 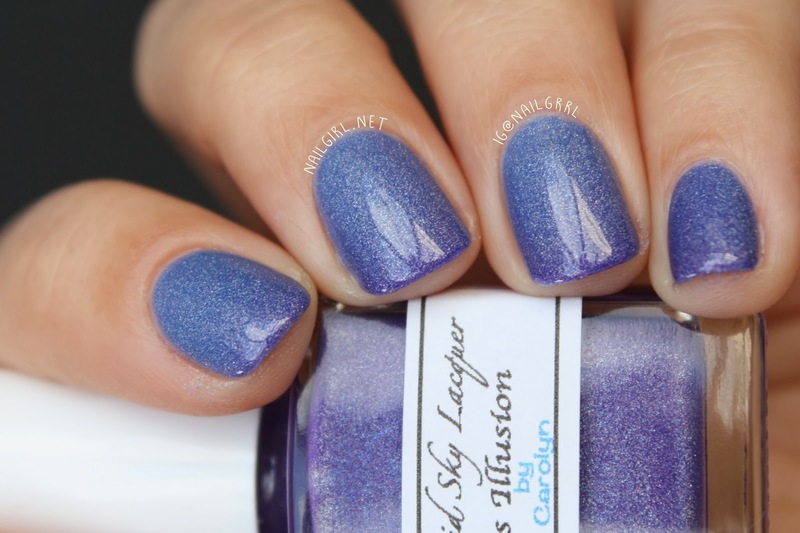 This particular polish is a beautiful purple holographic when cold, and becomes a sky-blue holographic when warm. Shown are 2 easy coats topped with Good to Go. It dries to a satin-matte finish, which I've shown in some photos. I thought this polish was SO much fun because it's my first thermal! I loved noticing the color changing throughout the day in different situations - I can't wait to get more! Do you have any thermals that you love? Let me know in the comments! I purchased my bottle of Iris Illusion from Mei Mei's Signatures. 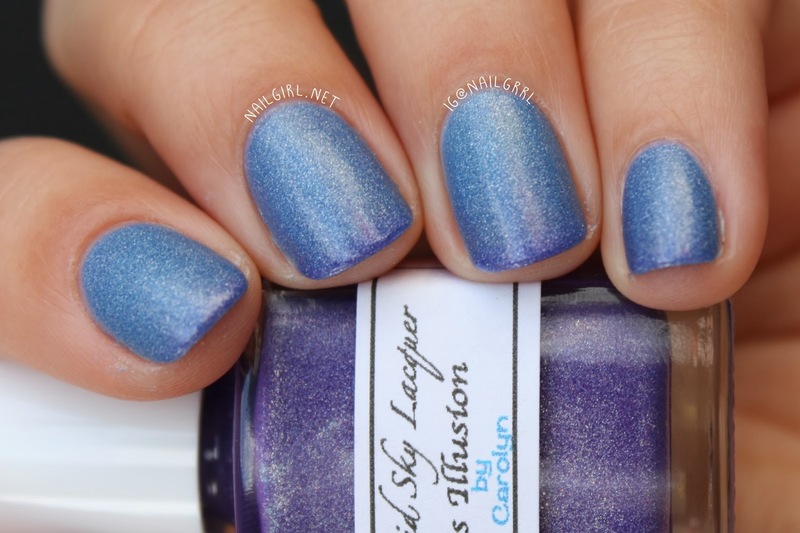 Liquid Sky Lacquer is also available at their BigCartel shop. Love this polish! I also love Poseidon's Envy which is a really pretty navy blue - greeny teal colour changer. Sheer though. Thanks Grace :) Ooh that sounds pretty! Sky blue to purple! Soo pretty! Nail Art: Poké Ball Nails!